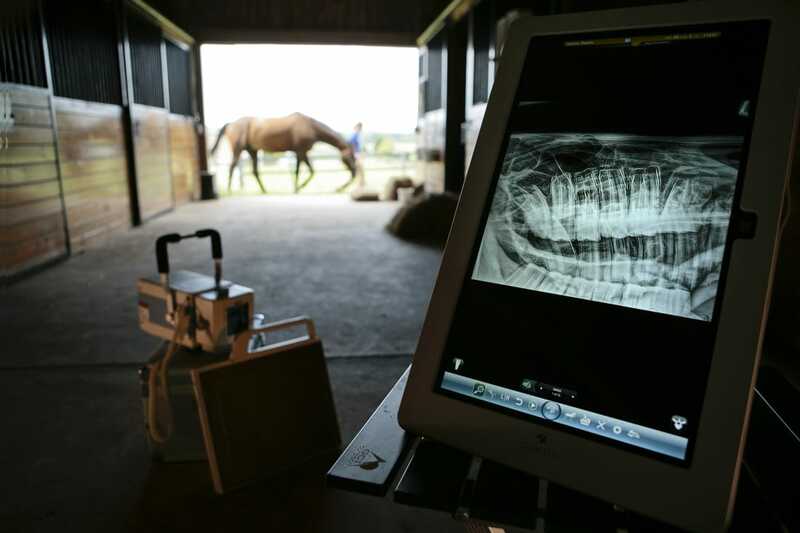 "Dental care is an important part of your horse's overall health care program. Dr. McAndrews is a skilled practitioner of dental care for horses. I highly recommend her for your horse's dental care needs." The goal of Garden State Equine Veterinary Dentistry is to make our patients more comfortable today and healthier tomorrow. The practice exclusively offers comprehensive routine and advanced equine dental services to complement and enhance the care that your horse receives from your regular equine veterinarian. Please see our FAQ page to learn why routine dental care by a veterinarian is important. Every appointment starts with a full assessment of the horse's mouth. Based on this exam, a treatment plan is developed with the owner. An intra-oral camera/oral endoscopy can be used to document the exam and to show owners or trainers any abnormalities. We use the latest, water-cooled, motorized equipment. A variety of instruments are available for all sizes of horses and donkeys to safely and efficiently address all aspects of the mouth. Our high-resolution, portable, digital radiography unit, in combination with a thorough oral exam, allows us to make a full assessment and treatment plan stall-side.